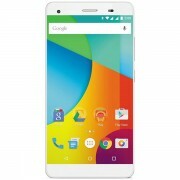 Lava is set to launch Pixel V1, one of the early members of the second-gen Android One smartphones. While the launch is scheduled for July 27 in India, the Pixel V1 was spotted in a listing at MySmartPrice, a price comparison website. Lava’s Pixel V1 features a 5.5” 720p display with Asahi’s DragonTrail glass for protection and offers pixel density of 267ppi. 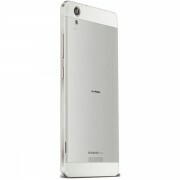 This handset houses a 1.3GHz quad-core CPU coupled with 2GB of RAM and 32GB expandable storage. The rear 13MP snapper with BSI sensor having f/2.0 aperture and LED flash will ensure high quality images. 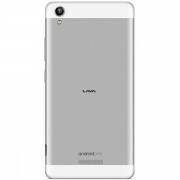 While the front facing 5MP camera is equipped with a 4-element lens to help interpolate images in 8MP resolution as well. Booting Android 5.1.1 Lollipop, this Android One smartphone will get a priority for the next major Android updates. For connectivity, it offers Wi-Fi and dual-SIM support having one 3G enabled SIM card. The Pixel V1 packs a 2,650mAh battery and is expected to launch it at INR 11,349 ($177) on Monday.